I was sitting inside a fully loaded 2014 Mazda3 S Grand Touring (review to come in the following weeks) the other day and noticed how well appointed this compact five-door was. There were heated leather seats, navigation, touchscreen everything, heads-up display, lane departure warning system, an excellent stereo, outstanding driving dynamics, and a very premium overall feel. It also has a premium price at close to $30,000. For a non-luxury-branded, non-high-performance (think Jetta GLI) compact, that’s getting pretty expensive. But let’s compare it to a premium-brand; I’ll pick on the BMW 320i for a moment. Similarly equipped, the ’14 320i is over $14,000 more expensive than the Mazda3 S 5-Door Grand Touring. Oh, and the Mazda has more horsepower (although slightly less torque) and better fuel economy. Is this an apples to oranges comparison? Well, one is FWD, one is RWD; the BMW is technically a compact whereas the Mazda3 is uh, well, technically a midsize. So much for car classifications (thank you EPA). 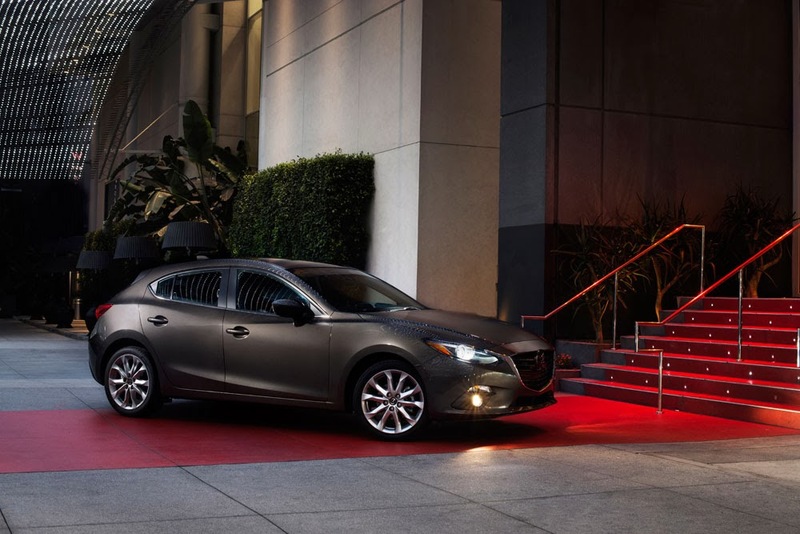 Of course, the Mazda3 is just one example. You can option up a host of compacts and subcompacts with scads of luxury-like options (and price tags) which begs the question: Are these really expensive small cars, or great bargains on compact luxury? And while today’s luxuriously appointed small cars are extremely nice for what they are, they’re still lagging behind in the must cutting edge methods of vehicular-provided pampering. Sit in a new Audi, BMW, Lexus, or Cadillac, and many of the technologies and interiors are definitely pushing the envelope in terms of tech and creature comforts. From heated a steering wheel and automatically adjusting seat bolsters; to a touchscreen with handwriting recognition, and ventilation systems that mimics natural air currents of a forest—the latest crop of bona-fide luxury rides have features such as these, and yes, all of the aforementioned luxury accouterments are real. However, step inside a ’14 Mazda3 S Grand Touring, complete with its attractive two-tone leather seating, center console-mounted audio controls, and adaptive front lighting system, and you’ll quickly realize that this compact, and many others, offer a level of luxury and technology that hasn’t been seen in a small car before. In fact, many of today’s small cars are can be so well equipped that they cross the lines into bona-fide luxury vehicles. That, of course, begs the question, what is a luxury car? If you clad a Chevrolet Spark with leather, a touchscreen, heated seats, and Bluetooth, is it a “luxury car”? Of course not (and the Spark 2LT has all those features). But with enough features, sold build quality, plenty of the latest technology, and a smooth ride and remarkable handling, many of today’s small cars are blurring the lines of what constitutes a luxury vehicle, regardless of size.